An Apple a Day Keeps Aging at Bay - Anti-Age Naturally! A couple of weeks ago in an anti-aging hacks article I mentioned how apples, apple juice, apple peel and apple pectin can suppress and even prevent some cancers. I also said that I had just touched the surface on the research and that apples deserved their own article. I was that impressed. So here I am back on the apple kick. I feel the research is so important that I needed to share it with you. And it’s only in the last several years that apples been so heavily studied. 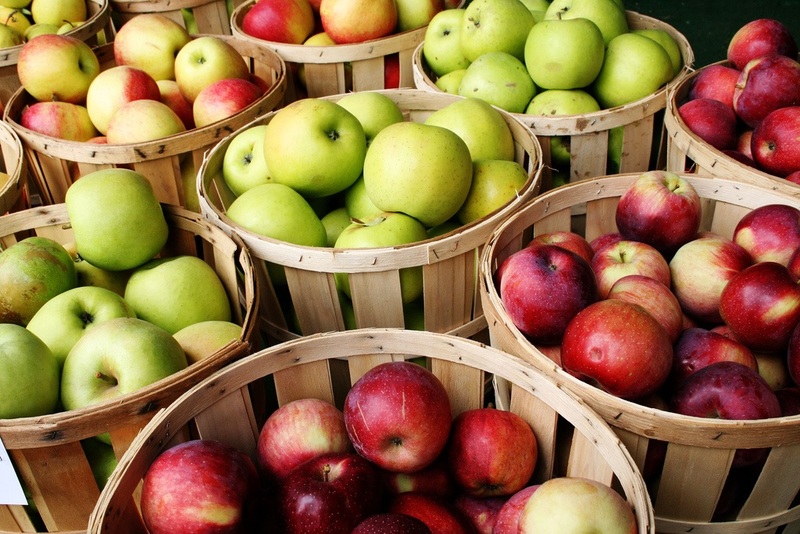 There are 7500 types of apples around the world, 2500 varieties just in the United States . Apples consist of antioxidants, minerals, vitamins, fiber and polyphenols. They do not contain fat, sodium or cholesterol. Even researchers at Florida State University said that apples are a “miracle fruit”. You see, animal studies research shows that the pectin and polyphenols in apples reduce inflammation and lower lipid metabolism. Researchers concluded that this could extend a lifespan . The same researchers, of the animal study, went on to evaluate the long-term cardioprotective effects of daily consumption of apples in postmenopausal women. The study used 160 women from the ages of 45-65. Two groups were formed. One received dried apples daily (75g/day for one year) and the other group ate dried prunes every day for a year. Researchers were stunned to see changes in the apple-eating group at six months – an incredible 23% decrease in LDL cholesterol (bad cholesterol). And the same results that were observed with the animals were seen with this group too – a lowering of lipid hydroperoxide levels and C-reactive protein. On top of all that the apple group lost an average of 3.3lbs [3,4]. Possibly the effects that apples have on cancer suppression and prevention stem from their antioxidants, which have anti-inflammatory properties. Most of the antioxidants in an apple are contained in the skin. But the more impressive studies are about the pectin. In fact, researchers at the University of Georgia found that pectin destroyed up to 40 percent of prostate-cancer cells upon exposure, while other studies revealed that pectin helps in fighting lung, esophageal, breast, stomach and colon cancers [5,6,7,8,9,10,11,12,13,14,15,16,17,18,19,20]. Because I could tell you about so many studies I thought I would stop at the ones above (I’m sure you have other things to do today). I’ll just cut to the chase with all the other apple benefits. Short and sweet. I will however list all the references down below so if you want to find out more it’ll be there for you. Anemia – Apples contain a rich source of iron and have been used to improve red-blood cells and help those with anemia . Arthritis – The flavonoids in apples help to reduce inflammation and many people are finding relief with eating apples . Asthma – Drinking fresh apple juice can give relief. Drinking once a day has been shown to reduce wheezing and breathing problems associated with asthma . Diabetes – Apples help control blood sugar by reducing the amount of carbohydrates in the body . Digestion – An apple a day helps your stomach digest food and absorb the nutrients you need, especially if you eat an apple before your big meal . Heart Disease – In the UK researchers found that prescribing an apple a day would prevent or delay thousands of vascular deaths a year. And, as established above, it reduces cholesterol levels [26, 27]. Stroke – Researchers show that a decrease risk of stroke is directly related to a regular intake of apples . Weight Loss – Because apples have so much fiber they can reduce the appetite. Apples also speed up metabolism [29,30]. Scientists and doctors alike agree that everyone could benefit from eating apples three to four times a week. 1. Try not to bite the seeds because they contain cyanide. In small doses they won’t harm you. Biting them is going to release the cyanide but swallowing them whole will most likely not have any effect. 2. It’s important to buy organic apples because pesticides do soak through the apple’s skin. P.S. If you missed the hacks where I mentioned the apples you can catch up here. I’ve also written about polyphenols here. 1Apples and More. University of Illinois Extension. 2018. 2’Apple a day’ advice rooted in science. Federation of American Societies for Experimental Biology. 2011. 3Boyer J., Et. al. Apple phytochemicals and their health benefits. Nutr. J. 2004. 4Koutsos A., Et. al. 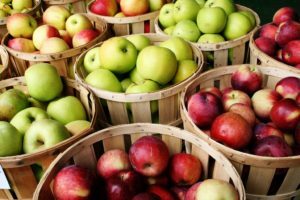 Apples and cardiovascular health–is the gut microbiota a core consideration? Nutrients. 2015. 5Riccio G., Et. al. WNT Inhibitory Activity of Malus Pumila miller cv Annurca and Malus domestica cv Limoncella Apple Extracts on Human Colon-Rectal Cells Carrying Familial Adenomatous Polyposis Mutations. Nutrients. 2017. 6Hiroshige Hibasami, Et. al. Induction of apoptosis by three types of procyanidin isolated from apple (Rosaceae Malus pumila) in human stomach cancer KATO III cells. Int J Mol Med. 2004. 7Yang S., Et. al. Evaluation of antioxidative and antitumor activities of extracted flavonoids from Pink Lady apples in human colon and breast cancer cell lines. Food Funct. 2015. 8Liu RH., Et. al. Apples prevent mammary tumors in rats. J Agric Food Chem. 2005. 9Liu JR., Et. al. Fresh apples suppress mammary carcinogenesis and proliferative activity and induce apoptosis in mammary tumors of the Sprague-Dawley rat. J Agric Food Chem. 2009. 10Jie Sun, Et. al. Apple phytochemical extracts inhibit proliferation of estrogen-dependent and estrogen-independent human breast cancer cells. J Agric Food Chem. 2008. 11Fabiani R., Et. al. Consumption of apples is associated with a reduced risk of cancer in different anatomical sites. Public Health Nutr. 2016. 12Riccio G., Et. al. WNT Inhibitory Activity of Malus Pumila miller cv Annurca and Malus domestica cv Limoncella Apple Extracts on Human Colon-Rectal Cells Carrying Familial Adenomatous Polyposis Mutations. Nutrients. 2017. 13Hiroshige Hibasami, Et. al. Induction of apoptosis by three types of procyanidin isolated from apple (Rosaceae Malus pumila) in human stomach cancer KATO III cells. Int J Mol Med. 2004. 14Yang S., Et. al. Evaluation of antioxidative and antitumor activities of extracted flavonoids from Pink Lady apples in human colon and breast cancer cell lines. Food Funct. 2015. 15Liu RH., Et. al. Apples prevent mammary tumors in rats. J Agric Food Chem. 2005. 16Liu JR., Et. al. Fresh apples suppress mammary carcinogenesis and proliferative activity and induce apoptosis in mammary tumors of the Sprague-Dawley rat. J Agric Food Chem. 2009. 17Jie Sun, Et. al. Apple phytochemical extracts inhibit proliferation of estrogen-dependent and estrogen-independent human breast cancer cells. J Agric Food Chem. 2008. 18Fabiani R., Et. al. Consumption of apples is associated with a reduced risk of cancer in different anatomical sites. Public Health Nutr. 2016. 19Crystal L. Jackson, Debra Mohnen, Ph.D. Pectin induces apoptosis in human prostate cancer cells: Structure function relationship. University of Georgia. 2001. 20Jackson, C., Et. al. Pectin induces apoptosis in human prostate cancer cells: correlation of apoptotic function with pectin structure. Glycobiology. 2007. 21Jennifer J Yeager, Et. al. Study Guide for Pharmacology for Nursing Care – E-Book. Elsevier Health Sciences. 2012. 22Padua TA., Et. al. Anti-inflammatory effects of methyl ursolate obtained from a chemically derived crude extract of apple peels: potential use in rheumatoid arthritis. Arch Pharm Res. 2014. 23Okoko BJ., Et. al. Childhood asthma and fruit consumption. Eur. Respir J. 2007. 24Isao Muraki, Et. al. Fruit consumption and risk of type 2 diabetes: results from three prospective longitudinal cohort studies. BMJ. 2013. 25Hyson D. A Comprehensive Review of Apples and Apple Components and Their Relationship to Human Health. Adv Nutr. 2011. 26Hertog MG., Et. al. Dietary antioxidant flavonoids and risk of coronary heart disease: the Zutphen Elderly Study. Lancet. 1993. 27A statin a day keeps the doctor away: comparative proverb assessment modelling study. BMJ. 2013. 28Knekt P., Et. al. Quercetin intake and the incidence of cerebrovascular disease. Eur J. Clin Nutri. 2000. 29Conceição de Oliveira M., Et. al. Weight loss associated with a daily intake of three apples or three pears among overweight women. Nutrition. 2003. 30Maria C De Oliveira, Et. al. Weight Loss Associated With the Consumption of Apple. Universidade Federal do Amazonas. 2012. 31R Dekkers. Apple juice and the chemical-contact softening of gallstones PlumX Metrics. 1999. 32Rui Hai Liu. Health benefits of fruit and vegetables are from additive and synergistic combinations of phytochemicals. American Society for Clinical Nutrition. 2003. 33David S. Gray. The Clinical Uses of Dietary Fiber. American Academy of Family Physicians. 1995. 35Denis MC., Et. al. Apple peel polyphenols: a key player in the prevention and treatment of experimental inflammatory bowel disease. Clin Sci. 2016. 36Bureau G., Et. al. Two phytoestrogens, resveratrol and quercetin, reduce apoptotic neuronal death induced by oxidative stress and neuroinflammation. Neuroscience. 2006. 37Shen Cl., Et. al. Fruits and dietary phytochemicals in bone protection. Nutr Res. 2012. 38Rogers Ej. Et. al. Apple juice prevents oxidative stress and impaired cognitive performance caused by genetic and dietary deficiencies in mice. J Nutr. Health Aging. 2004. 39Chan A., Et. al. Dietary supplementation with apple juice decreases endogenous amyloid-beta levels in murine brain. J Alzheimers Dis. 2009. 40Remington R., Et. al. Apple juice improved behavioral but not cognitive symptoms in moderate-to-late stage Alzheimer’s disease in an open-label pilot study. Am J Alzheimers Dis Other Demen. 2010. 41Compound In Apples May Help Fight Alzheimer’s Disease. American Chemical Society. 2004.